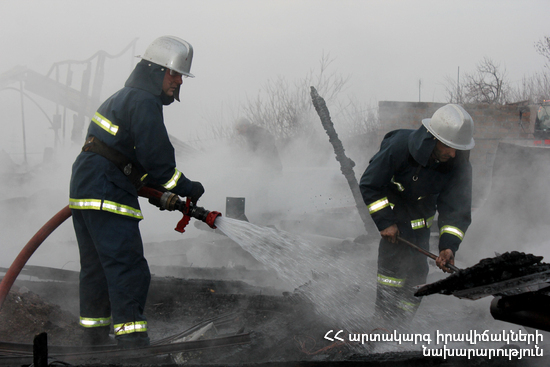 On February 6, at 15:20 an emergency call was received to “911” service that a trailer home was burning in Getapnya street in Dilijan town, Tavush Province. The rescuers’ help was needed. The fire was localized at 15:39 and extinguished at 16:04. The trailer home (about 9 m2) completely burnt.